Spring season might as well be called picnic season! Beautiful flowers, a cool breeze, and the warm sun make any day a reason to be outdoors and of course, it’s always important to have a snack or two to enjoy. It doesn’t matter if you’re planning on spending these days at home, browsing for some beach adventure, or at a friends’ gathering in the park, food is always a must and let’s be honest, if it’s a sweet treat, everyone will enjoy it. 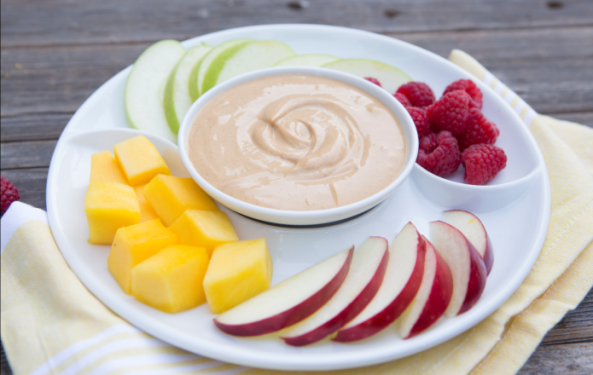 To give you something tasty to try at your next picnic, I’m sharing a simple Dulce de Leche Yogurt Dip recipe from Nestlé that will be a hit with everyone and takes only five minutes to make. Next time you’re planning for little outdoor break, channel your inner host with Nestlé La Lechera, and treat yourself with the magical touch of that delicious, caramel, Dulce de Leche Yogurt Dip.